The information products I'm referring to are mini ebooks and special reports. Both are, or should at least be, considered the same type of products here. There are a few slight differences, but the objective remains the same. You must be willing to give these types of info product promotional tools away for free. The reason, Who doesn't like getting something for free? I'm pretty sure that every single human being on Earth loves a good “freebie”. Giving away a free product that you have converted into something “viral” is a great way to get free traffic. Plus it builds up your reputation as someone positive that is willing to give your visitors something valuable just for showing up. And the more “freebies” you make available, you can bet that those visitors will continue coming back to your site just to see what you're “dishing out” next. First though, you must create a “viral” freebie. What is a “viral” freebie exactly? Well, it can be any collection of useful information you want to compile. For example, a mini ebook is a wonderful product that you can turn into a free traffic generation system. Also, you could create your own viral software, special report, or video. The best free products are those you create yourself, or those that are comprised of original content. However, an easier alternative is to get yourself a copy of an ebook, software, or special report that can be rebranded with your information, like an affiliate rebrandable report. The fact that these ebooks and special reports can be “rebranded” with your link and other assorted information is what makes them “viral”. Meaning, you are able to hand an unlimited number of these “branded” products away freely to as many people as you like, and in turn, all those people can give out as many copies as they would like to as many people as they can. Spreading your site link that is embedded inside the product like a virus. The more people you can get your “branded” freebie passed out to, the more traffic you'll be able to generate for yourself and whatever site or service you are promoting - without paying a dime to do it. Now the process of “rebranding” an ebook or special report is very easy. And most of these types of freely downloadable products come with specific instructions on just how to put your desired link inside of it. The easiest way to create a “viral” traffic product is to make your own. It's really not that difficult a process as you might first think. And once you get the hang of it, you'll be cranking these bad boys out like there's no tomorrow. By creating your own “viral” product from scratch means that YOU have total control of what is inside of it. 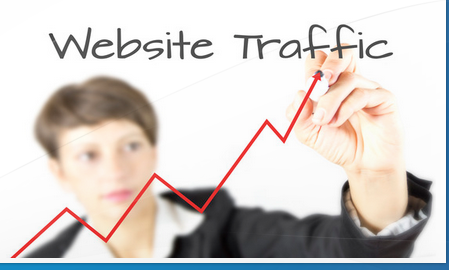 Including, and most importantly, where you will be sending traffic you generate to. And without all the hassle of trying to figure out the “rebranding” process. You'll put your own “brand” inside of them while you're creating them. Add to that the fact that the “brand”, or the link you include that you want to send traffic to, won't be able to be changed by your freebie recipients. This is an ongoing problem that plagues the “rebrandible” products. The reason why is because that if you create a “rebrandible” product, you are allowing those that grab a copy the right to change the desired link that will receive the traffic. In other words, your freebie snatchers will in essence take away your traffic by redirecting it to their own selected, or “branded” links they replace yours with. And once you create such a “rebrandible” link, there are always ways in which the savvy hackers can find a way to bypass your branded content, replace it with their own, and then begin handing out copies to earn YOUR traffic. And sometimes, as in the case of rebrandible PDF files, all one needs to have is an application more commonly known as a PDFrebrand.exe file. This file is automatically generated when someone creates a brandible PDF file through several different PDF rebranding creation tools. The most popular of which is ViralPDF. And guess what it creates as the rebranding tool? Yep. You guessed it PDFrebrand.exe! So, as long as someone has a copy of the automated rebranding tool, then they can change the rebrandible links inside that PDF document. This is precisely why you should concentrate on creating your own original products from scratch. Yes, it is more time consuming, but at least you'll be confident in the knowledge that your product will not be easily changed and detract from your traffic generating plans. Now I will explain how to build each of the aforementioned free “viral” products. Feel free to use any of these techniques to build free products to boost your site traffic. Or just use all of them to really explode your in-flow of traffic. There are two acceptable formats for ebooks that are most commonly used. And those are, the .EXE and .PDF formats. Each has their own unique merits and should be considered as a method of compilation. In fact, I would strongly urge you to use both formats for the same ebook. You may be wondering why I suggest this. That is because there are some things you are able to do only with an executable ebook that cannot be accomplished with the PDF version. For instance, you can insert a sign up form within an executable ebook. Practically anything you can do on an HTML web page can be done within an executable ebook. As a matter of fact, you can even take an entire HTML web site and make an .exe ebook from it. The downside is that only those with a Windows operating system can utilize the .exe format. While a PDF is more restrictive in terms of adding “normal” HTML page content such as web page forms or direct payment buttons or links, it is a much more viable product in that it is considered an “independent” format. What this means is that it runs independent from the users operating system. So whether one is running on a Windows system or a Mac, the PDF file will work exactly in the same manner as you intend it to. All they need is a copy of Adobe® Acrobat® Reader, which coincidentally is freely available for download, and they will be able to read your ebook anytime they wish.